That’s right – an alien civilization. 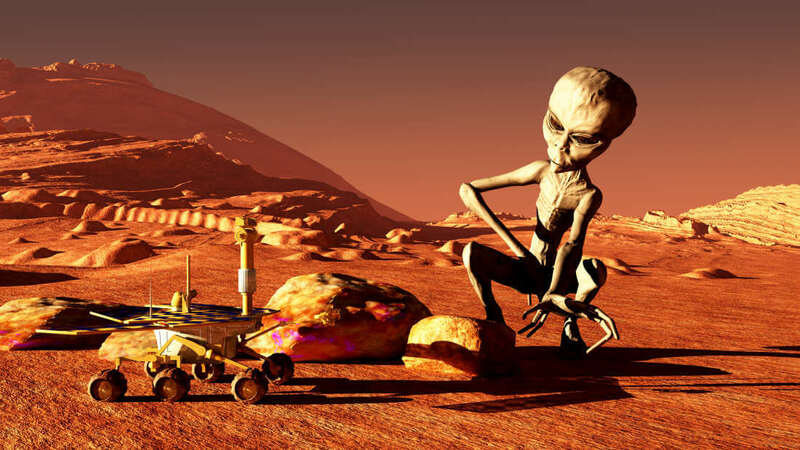 Not microbes, but full-blown Martians with cities and spacecraft. Rohrabacher, by the way, had to ask special permission from the chairman to ask this question, the last of several of his – so clearly he was eager to find out the answer. The experts look at each other for a few awkward seconds, before one decides to heroically take up the challenge. “Mars was different billions of years ago, not thousands of years ago,” one responds. Clearly stifling a laugh or at least a grin, he says that “There’s no evidence that I’m aware of that–” before being cut off by Rohrabacher. “Would you rule that out? That – see, there are some people…well, anyway,” Rohrabacher replied. He may be alluding here to the mind-blowingly stupid conspiracy theories claiming NASA has a colony of child slaves on the Red Planet. Alternatively, he could be referring one of several alien-spotting YouTube channels. “I would say that is extremely unlikely,” the expert responded. That expert, by the way, is Dr Ken Farley, a project scientist on the Mars 2020 Rover Project. Instead of talking about that exciting mission and advancing the field of space exploration, he’s having to talk about ancient alien civilizations on Mars. This type of madness is par for the course for Rohrabacher. After all, he once claimed that dinosaur farts caused deadly climate change. Although this turned out to be a joke, the fact that it was widely interpreted at the time as him being serious is all you need to know about how his scientific know-how, or lack thereof, is perceived. He also suggested back in 2011 that in order to stop climate change, we should destroy all of the rainforests. You know, those carbon dioxide-absorbing rainforests. Just as a reminder, Rohrabacher is a senior ranking Republican who has a powerful influence over America’s science policy. No wonder scientists are running for Congress in the hope of displacing Rohrabacher, and plenty of others like him.